I think we all know someone with expert-leash walking skills. You know the ones that aren’t constantly being pulled or getting wrapped around trees. 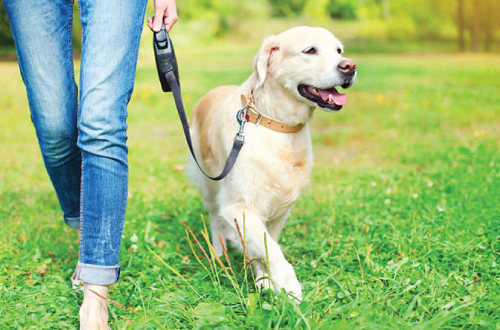 The ones that are able to easily enjoy an afternoon stroll with their pooch by their side. So you may be asking yourself the question: where did I go wrong? 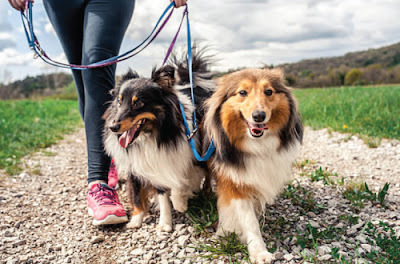 If you’re over being yanked along, it’s time you take back control of the leash and implement some training methods that’ll get your pooch walking like a pro in no time. Remove any distractions – train somewhere where it will be easy for your dog to focus whether that is in the backyard or even indoors. Short, sweet training sessions are optimal. Keep the training anywhere between 5-10 minutes a day so both you and your pup don’t get frustrated. Reward your pup with treats each time they co-operate with you. For your dog to learn they need to stay on one side of you when walking, ask your dog to sit next to your left leg (or right), with their shoulder in line with you. As soon as he takes off ahead, turn around and start walking in the opposite direction. Repeat then turn-around each time your dog surges ahead and correct him by saying ‘heel’. Initially reward them each time they are in the heel position and walking by your side (this will also teach them to look to you for direction). 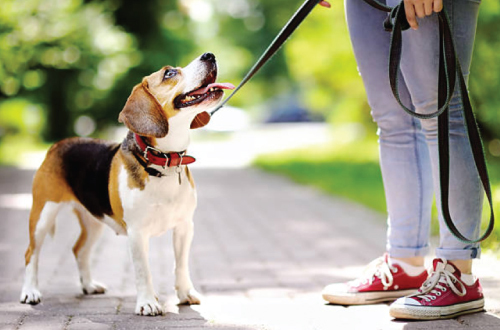 As your pooch progresses, get them to walk for a longer period beside you before they get the treat. Enjoy your walk and continue to occasionally reward your dog for paying attention and walking with you. Once the behaviour is established, rewards can be in the form of treats, play or just simply a ‘good boy’ when they are doing the right thing. Are bones really safe for your dog? Find out the answers here.